“Baby” is a bonus track you can get on CD and flexi at the Dillatronic store online. But you may as well check for the release of J Dilla’s lost classic “Jay Love Japan,” too. You can order the standard “Jay Love Japan” LP on iTunes. 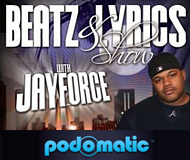 We posted the audio from Jadakiss with Dyce Payne on here a while back. Now “Baby” (produced by Scram Jones) gets the visual treatment. Banger! Dyce Payne with another of The LOX bredren. Previously on here with the “Smoke All Day” jawn from Styles P; this time he kicks in a feature with Jadakiss on “Baby” (produced by Scram Jones). Maybe you knew Busta Rhymes was signed to Cash Money Records a few years back. Well, if you didn’t, now you do. In truth, you are not slow any more, because Buss left the label. Now, why do you suppose that news bit wasn’t a hit across the Interwebs? Probably because there was no heat between Busta and Cash Money label head Baby amid the departure. No beef, no animosity. Grown men who are still cordial; friends at some level. Busta, saying enough but not too much, just reveals (above)… that it was time for him to move on. 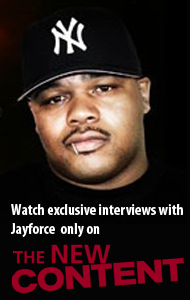 Good clip to watch for insight from a Hip-Hop vet still keeping it moving.